Look, I get it Columbus. 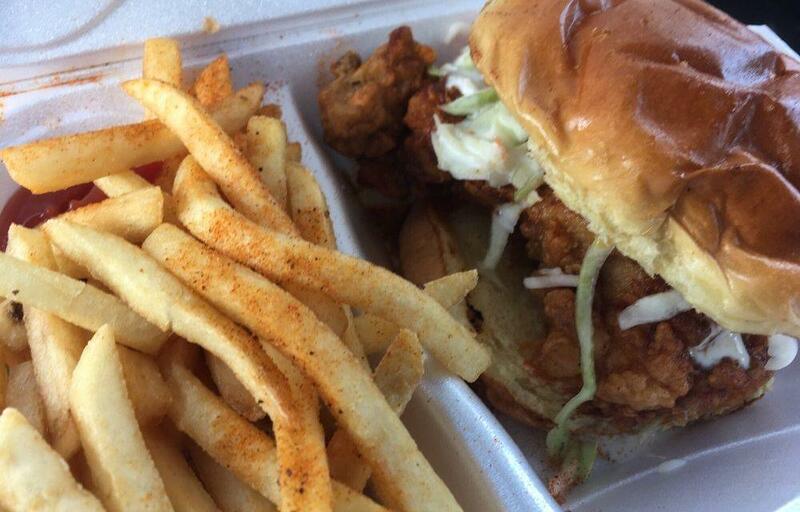 Hot Chicken Takeover is some pretty killer stuff. You can’t go wrong with that crispy, golden, spicy goodness. But let’s take a second to step outside of our comfort zones, maybe challenge our personal poultry prowess. 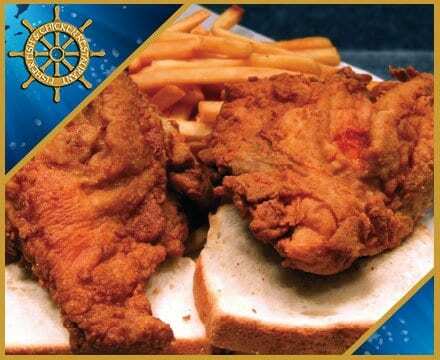 It was in that spirit of adventure and breaded and fried fanaticism that we sent out our feelers throughout the city to find the best chicken shops this far north of the Mason-Dixon line. 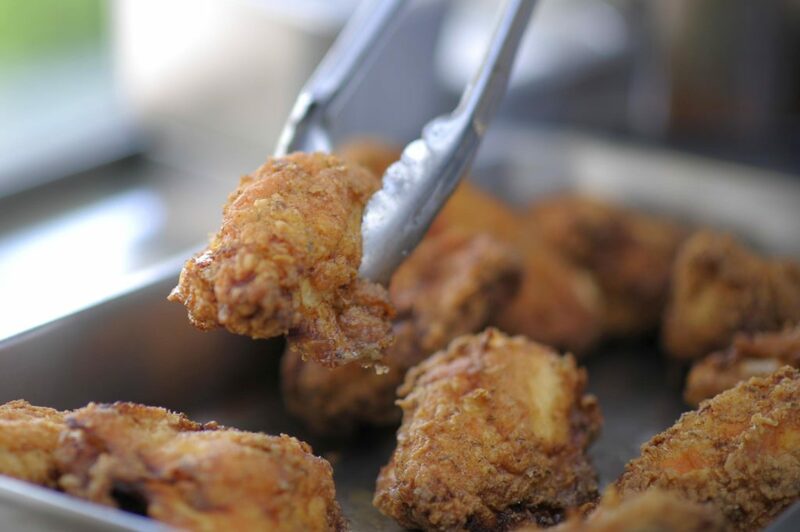 I hope it’s a cheat day because you’re gonna be tempted to break that imaginary diet with these awesome deep-fried gems. Don’t judge a book by its cover. Unless that cover is made out of fried chicken, then, yeah, duh’ it’s gonna be pretty great you guys. 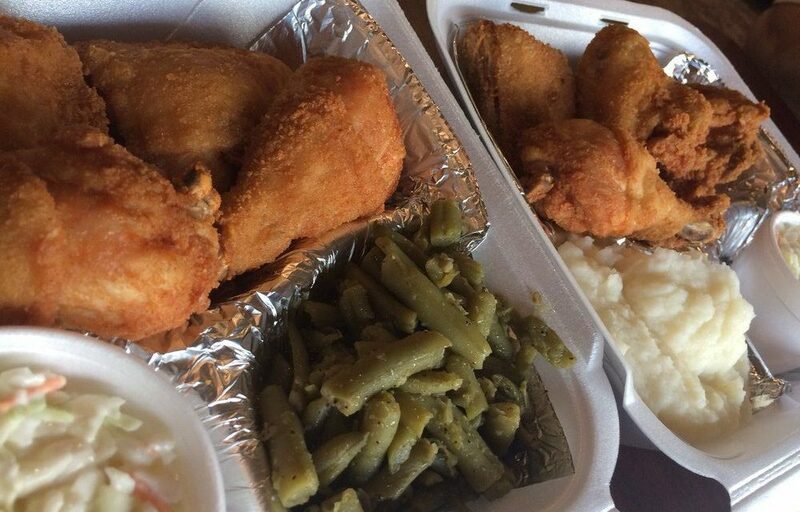 The Fish and Chicken Inn has some awesome sides and some of the best fried food in the city. Yeah, the place is a little off the beaten path, for sure, but you can’t let a little thing like that get between you and those glorious trans fats. I’m not exactly sure what makes it Greek Fried Chicken as opposed to any other kind, but Uncle Nick’s throws it down when it comes to that breaded goodness. You can slap together a combo meal with a whole variety of different comfort sides, anything from baked beans, green beans, crinkle fries, and mac and cheese. The place is confident in its food too, going so far as proclaiming, “If Colonel Sanders had our recipe, he’d be a general.” You gotta respect the smack talk. So this one isn’t a chicken place per se, but anyone who’s ever been here knows what’s up with the Southern Fried Chicken they serve up. 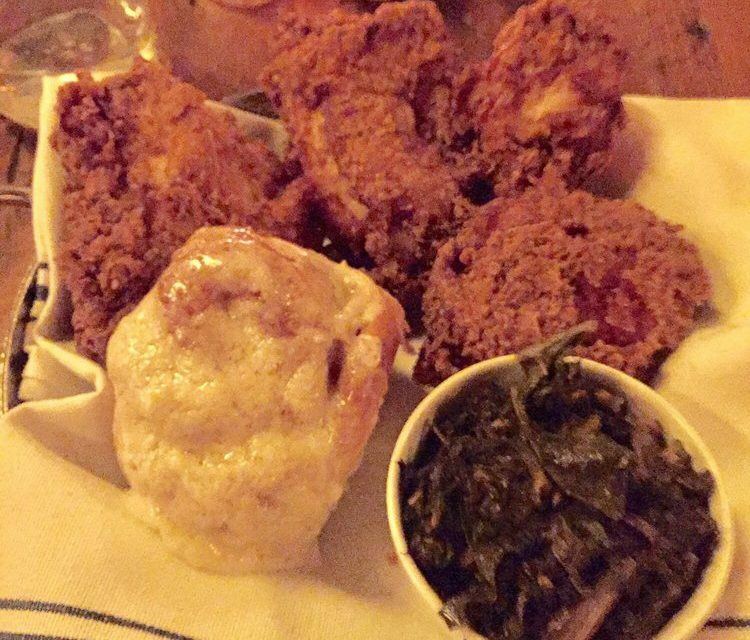 You get two pieces of their famous chicken, a mess of collard greens, and they stop it all off with a super sweet sticky bun. Trust me Columbus, you’re gonna be comfort food heaven by the end of the meal. Fisher Fish doesn’t just specialize in serving great chicken, they also fry up some pretty good Catfish and White Perch as well. The place is squirreled away off of Livingston avenue, making one of Columbus’ lesser known eateries. Still, it’s delicious eating for a delicious price that you can’t really beat. 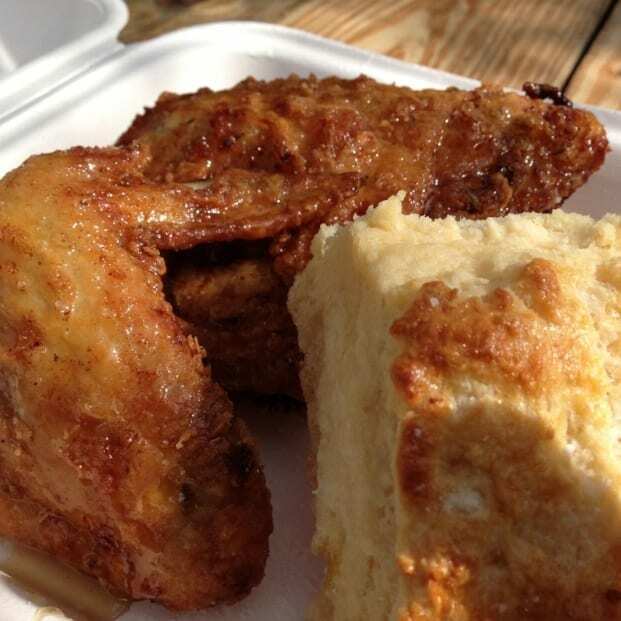 This one might be a bit harder to track down, seeing as how it’s mobile and what not, but how many food trucks can claim to serve up actual chicken and waffles? It doesn’t just stop there either, you can also get a thigh sandwich, Carolina pulled chicken, and a Nashville style hot chicken wrap. Got your mouth watering yet? You’re not alone Columbus, you’re not alone. What can be better than a great quality fried chicken with some pretty bomb breading? That same great quality fried chicken with pretty bomb breading and honey vinegar dressing. Boom. While the menu itself is pretty basic and straightforward, the taste and flavor is anything but. You can get your basic 2 or 3 piece cuts of bird but they also offer chicken biscuit sliders with their own herb honey drizzle. I know Columbus, this is straight up torture right now. 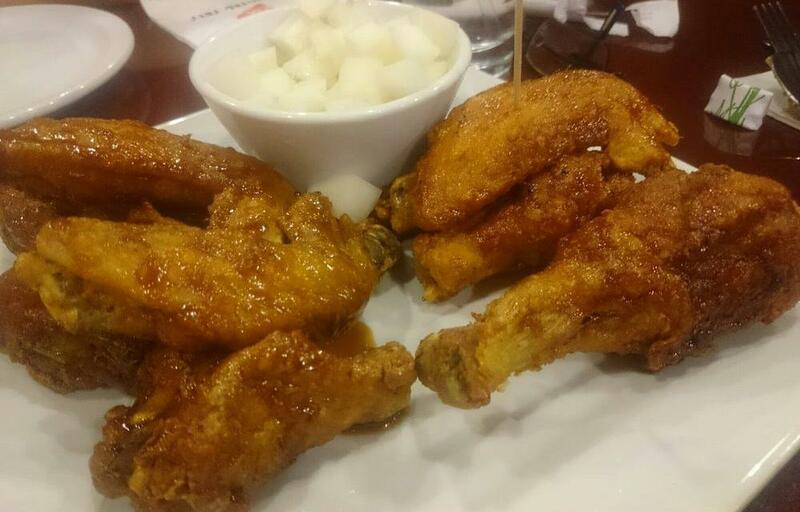 Take a legit walk on the wild side and check out this Korean style fried chicken joint in Clintonville. 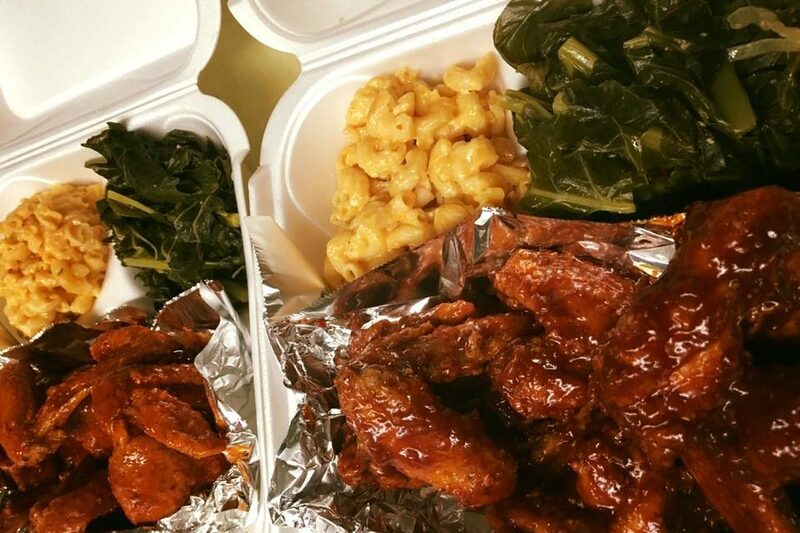 You can get wings, drums, and strips like your average chicken joint, but don’t expect any mashed potatoes or green beans. Instead, you have the option of steamed rice, pickled radish, and kimchi. And yeah, you also have french fries and coleslaw for all you flavor cowards out there. Okay fine, look, HCT is some truly dope chicken, alright? Don’t give us that look, we never said they weren’t. 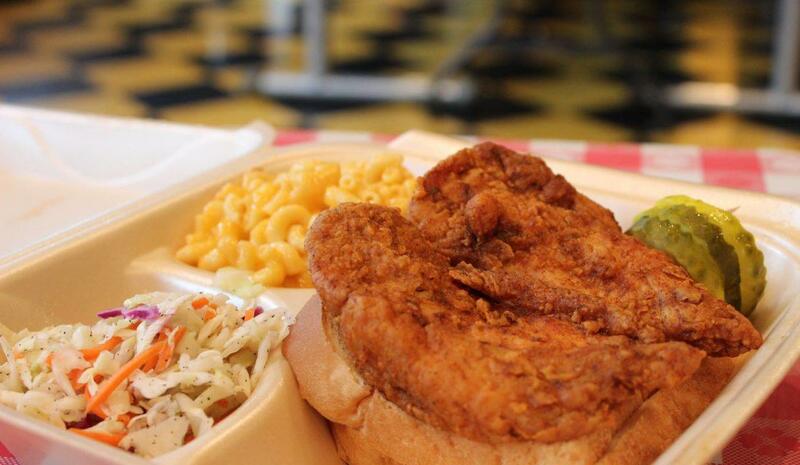 If you’re gonna get Hot Chicken anywhere outside of Nashville, this is the joint you hit up. Located inside the North Market, this spicy chick joint has quickly become a Columbus staple with the entire city practically opening their arms, nay good sirs, their hearts, to its wonderful poultry goodness. You can try to hate, but pop in some of that Holy Hot chicken and smothered creamy mac and cheese and deny its glory to its face. Trust us, its im-freaking-possible.